Sometimes, getting a free upgrade from the airline means agreeing to take another flight. Voluntary bumping occurs when you agree to give up a seat on an overbooked plane in exchange for some compensation. Most of the time, that compensation comes in the form of a voucher for a fixed amount of future travel. Personally, that's the way I like to receive a reward for waiting around an airport until the next available flight. But if you want a free airline upgrade, why not agree to be bumped in exchange for a better seat? If there is a spot available, and the flight isn't a long-haul, the airlines might just agree to your request. After all, filling one first class seat could be cheaper than giving you a free trip. Just how do you go about being bumped? Simply present yourself to the airline on the day of travel as someone who is willing to give up your seat in exchange for considerations in the event the flight is overbooked. If there is an overbooking (and frequently this does occur because airlines have to avoid empty seats), airline personnel might appreciate your offer -- even if it is motivated by more than kindness. This is much easier said than done, but if you have a choice: avoid the major hubs if you're angling for a free airline upgrade. Why? Because these hubs are going to be packed with travelers who have deep loyalty connections to home airline. They'll be loaded with frequent flier miles and premium club memberships. Naturally, airlines are going to give upgrades to the people who are their best customers. That is not to say an upgrade is impossible in these situations, but certainly your competition will narrow if you can shop for an airport where the airline in question is not operating a hub operation. The title of this article includes the words "free airline upgrade." Technically, when you give up something you've been saving, the result is not a free upgrade. But if you define the word free in terms of keeping your cash, think about giving up frequent flier miles for a better seat. The ways one goes about this will vary quite a bit by airline. Some airlines will allow an upgrade for a reasonable amount of frequent flier miles. Others will make you pay too much. This can be a good strategy for using up odd amounts of miles--those balances that aren't quite large enough for your dream trip but too significant to simply watch melt away into expiration oblivion. This advice has more to do with how airlines operate than simple logic. Think about their need to fill empty seats at all cost. If you arrive early for a flight in the morning, you'll find airline personnel who are generally less pressured and free to make decisions in your favor. You'll have fewer people with whom to compete for a free airline upgrade. But here's a scenario that frequently unfolds late in the process: the coach section is overbooked, but there are empty seats in first class or business class. Airlines are apt to fill all of those better spots before they start bumping. If you're not around when those decisions are made, you'll miss your opportunity to be considered. Never resort to threats or shouting when attempting to receive a free airline upgrade. Airline personnel are under no obligation to upgrade you. The choices they make might seem arbitrary or even unfair, but in the end they are doing someone a favor by giving them luxury which was not reflected in the ticket price. Courtesy includes taking "no" for an answer. Persistence pays off in many places, but this isn't one of them. The more you badger an employee, the less likely it is that they are going to respond with kindness. While it never hurts to ask, be polite and accept the answer you receive. They know you want the upgrade and if circumstances change later, they'll remember your well-mannered treatment. If you have a large travel party, spare everyone (including yourself) the trouble of asking for a free airline upgrade. The chances are not good that they will find four or five empty first class or business class seats. Even if they do, will they give all of them to you? The best opportunities for free upgrades come when you are traveling solo or perhaps with one other person. Are you willing to separate from your travel companion? If so, one of you might have a shot at an upgrade. Fans of the show Seinfeld probably remember an entire episode built around this premise. If you're the one who winds up in coach, be prepared to accept it and hope for a better journey than Elaine experienced in cramped quarters. This is far from a guaranteed approach to upgrade bliss, but it never hurts to let someone know you had a bad experience, even if it wasn't necessarily the airline's fault. I once took a flight from London Heathrow to Milan Linate. The plane left Heathrow 60 minutes late and then was diverted to Milan Malpenza due to an accident at Linate. We sat on the tarmac at Malpenza for two hours. A few passengers staged a mini-revolt that required the captain to come out and shout them down. I did not consider the airline to be completely at fault for this mishap, so I did not complain. But about two weeks later, I was upgraded to business class for a trans-Atlantic flight on the same carrier between London and Boston. I did not ask for this upgrade, and I know that people who pay full price for coach frequently are among the first to receive free upgrades. Given that I held a deeply discounted ticket, my guess is the airline moved me up on the list. So casually mention to the clerk that you're sure this flight will be much more comfortable that the last time you flew with them. You never know. Here's another suggestion that probably has a fairly low success rate but sometimes pays off in a free airline upgrade. If it's your honeymoon trip, if you're celebrating an anniversary or if you are on the way to a big graduation, drop that fact casually into conversation. Airlines know that this more than an ordinary moment in time for you, and you'll remember this trip far longer than most others on the upcoming flight. In the interest of establishing a good long-term relationship, they might just upgrade you if the opportunity presents itself. It's good business on their part to do so, but it's far from a certainty. Look at all of those people! How can you set yourself apart from the average traveler? Should you dress sharply and look the part of a first class passenger? Experts on getting a free airline upgrade really disagree on this one. Some say the way you are dressed has little or nothing to do with the decision. They insist that unless you're covered with dirt or smell bad, the decision rests with factors beyond your look. But others will tell you that the sharp dressers naturally make a better first impression. My take? So many other factors go into free airline upgrades that clothing probably is not a primary factor in the decision. 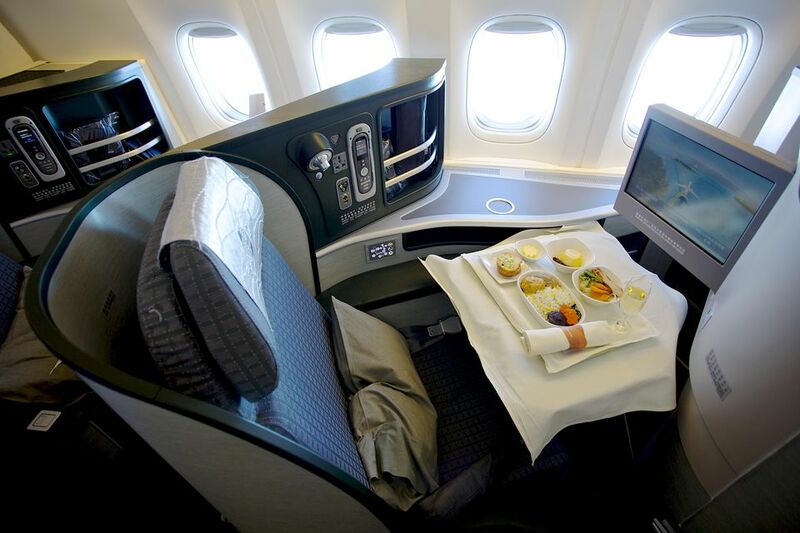 However, if there are three people under consideration and only two upgrade seats, factors such as how you present yourself might be the tiebreaker you need to slide into that comfortable spot with more legroom. It never hurts to look neat. Some inexperienced travelers will beg for a free airline upgrade. They'll target people who have little chance of helping them -- and annoy those folks in the process. Flight attendants, for example, are busy with a variety of duties and typically don't make upgrade decisions. The same is true of gate attendants in all but the most pressing of situations. Make your inquiries at the ticket counter in the terminal. There are "upgrade vouchers" for sale online in various places. Steer clear of these, because they are frequently fraudulent. The same is true of attempts to stamp your ticket with a "V.I.P" stamp that invites upgrades. This is not likely to do anything but result in embarrassment. Another travel myth: simply sitting down in an empty first class seat late in the boarding process as if you belong there will result in a free upgrade by default. Don't count on it. These are expensive seats and the flight attendants watch them closely. If one is supposed to be empty, they will know it.